Apple reached a milestone recently when it became the world’s first trillion-dollar company. It helped that, during its more than 40-year history, it has introduced some incredible innovations and products, most cannily directed at and designed for the enduser. 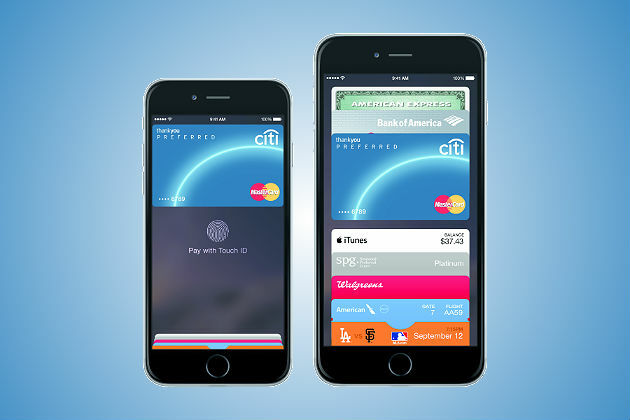 But a fairly recent one, Apple Pay, also took aim at the retail and commercial markets. It’s a payment app enabling so-called contactless payments for offline, in-store purchases. These are enacted on a user’s mobile phone, via near-field communication (NFC) technology — wherein a user holds up his or her phone within a minimum distance of a merchant’s fixed point-of-sale (POS) device. Now, nearly four years after its introduction, Apple Pay has competitors including Samsung Pay, Android Pay, PayPal, Square, Walmart Pay and bank mobile apps from Chase, Wells Fargo, Bank of America, Simple and others. LevelUp and Verifone SAIL are other types of mobile payment services involving scanning a QR code, and that’s not an exhaustive list. There is no doubt mobile payments will continue to find more users in a retail context. And none have been as widely adopted as the NFC services. But despite all the innovation and ferment in this area, smartphone payments, it seems, remain in their infancy. Only a modest percentage of all customers use them in preference to credit cards and more typical payment options, including cash. Such options aren’t likely to become obsolete or otherwise useless anytime soon. For this reason, mobile app and software developers still find the mobile payments landscape ripe for disruption. One relatively well-established NFC alternative, Beam, applies blockchain and distributed ledger technologies — which have fostered the recent advent of Bitcoin and other cryptocurrencies — to payment processing. The goal is to provide a payment alternative as easy, quick and secure as Apple Pay or any of its NFC competitors (or any other retail payment solution). According to a recent post on the technology news site VentureBeat, the rationale of Beam and other NFC alternatives stems from a phenomenon well-recognized by their disruptive founders: Mobile payments technology is catching on more readily in some parts of the world than in others. For example, to pay for offline purchases, approximately 90 percent of consumers in China use a multifarious service known as WeChat. Or, in a place like the wealthy United Arab Emirates (UAE), where the adoption of mobile phones itself stands at an incredible 228 percent, there has been a naturally higher rate of mobile payments adoption. Beam has adopted its own tack intended to hasten such adoption: to prompt consumers with instant rewards, discounts or promotional deals, whether for merchandise or services, as they purchase mundane or everyday products via their cellphone. Among other things, Beam claims that it is the first app to give users (in this case, in the UAE) the option to purchase fuel from their cars. Indeed, on the Beam network, merchants sometimes manage to elude and then waive for patrons all payment processing fees. The Beam technical network now resides in more than 400,000 stores worldwide, including 5,000 so-called live stores on three continents. The service has processed at least $250 million in payments for retailers including Aldo, Carrefour, Costa Coffee and Tommy Hilfiger. As for its technology, Beam works as transparently as any other mobile payments solution, including the NFC-based services. But it’s actually intended to transcend POS devices entirely in the near future. Apple Pay, Android Pay and the others still rely on credit card terminals to process card transactions, whereas Beam integrates with POS systems natively — directly at the machine level. It then provides an app to merchants enabling them to process Beam transactions. In fact, they can use a web browser for that. In the processing of every payment, Beam also records transactional data points separately for each party and thereby helps secure each party’s data from hacking by any other party, bank or organization. Beam’s CEO, Serdar Nurmammedov, is emphatic: Beam’s long-term goal is to eliminate credit card terminals entirely. Apple Pay, Android Pay and other NFC services will not be able to effect that, he says. For starters, doing so is not in the interest of the traditional acquiring banks, also known as acquirers, with which they deal. Acquirers are the banks or financial institutions that process credit credit or debit card payments on a merchant’s behalf and otherwise allow them to accept credit card payments from the card-issuing banks within their association. An association is a set of card-issuing banks or other institutions that sets uniform transaction terms for merchants, acquirers and issuers. The major associations are Visa, MasterCard, American Express and Discover. Acquirers, it turns out, can elicit an average of $300 annually just by leasing out a POS device to a merchant. By contrast, Nurmammedov has labeled POS devices “20th century equipment” that merchants should be able to cast off eventually in order to save money. It does seem like progress, at least, that the current coming-of-age cellphone payment services are here to stay, whatever they may be. It is also exciting that Beam, for one, is not limited to NFC technology for mobile payment processing. Retail venues have a long way to go before mobile payments completely take hold — whether that market is mainly driven by Apple, Google, Samsung, Chase, Bank of America, or their NFC or non-NFC competitors. So there does seem to be considerable remaining leeway for technological disruption in the retail mobile payments space. Bill Becken is a freelance researcher and writer with more than 20 years of experience in B2B communications and publishing. Most recently, Becken has contributed stories and top-tier executive interviews to B2B outlets with a focus on technology, travel, transportation and healthcare. He can be reached at billbecken@gmail.com.